You might know of COMO Shambhala from model-turned-cookbook-author, Chrissy Teigen’s instagram. Teigen and husband, John Legend, loved it so much they returned within a year of their first visit, and after experiencing it for myself, I can’t blame them. It’s a place I’ll be returning to as well. While COMO has three properties in Bali, COMO Shambhala is their crown jewel. 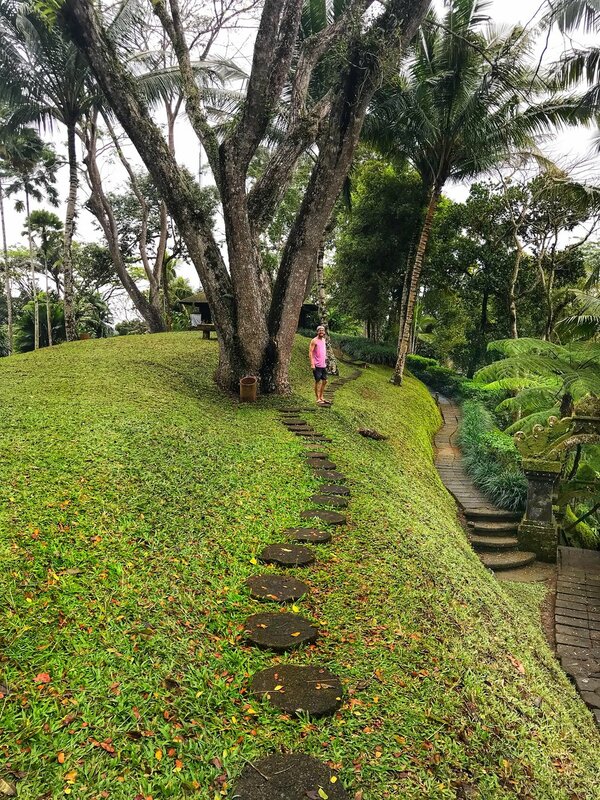 It is situated about 45 minutes away from Ubud Monkey Forest, but you’ll have little reason to leave the property once you arrive. My husband and I stayed at Shambhala for four days and each day we discovered something new about the grounds. It felt like we were perpetually saying, “wow!” as we reveled in its beauty. At Shambhala, you can prepare to be nourished both inside and out. 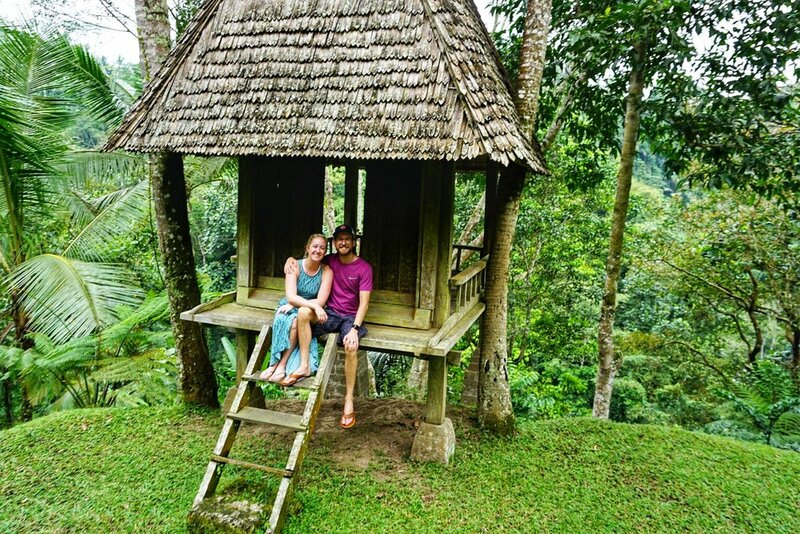 We failed to have a bad meal and especially looked forward to breakfast every morning where we could sit looking out over sweeping jungle views, listening to the laughter of river-rafters on the Ayung river far below. Breakfast became almost spiritual as you watched the fog drift by, every now and then letting the sun shine down on rice terraces far off in the distance. The grounds and rooms get cleaned meticulously and quickly, but you never actually catch anyone in the act. Our room was always made up anew without a trace of housekeeping in whatever window of time we were away. And, despite the rain and proximity to nature, the pools are always pristine. 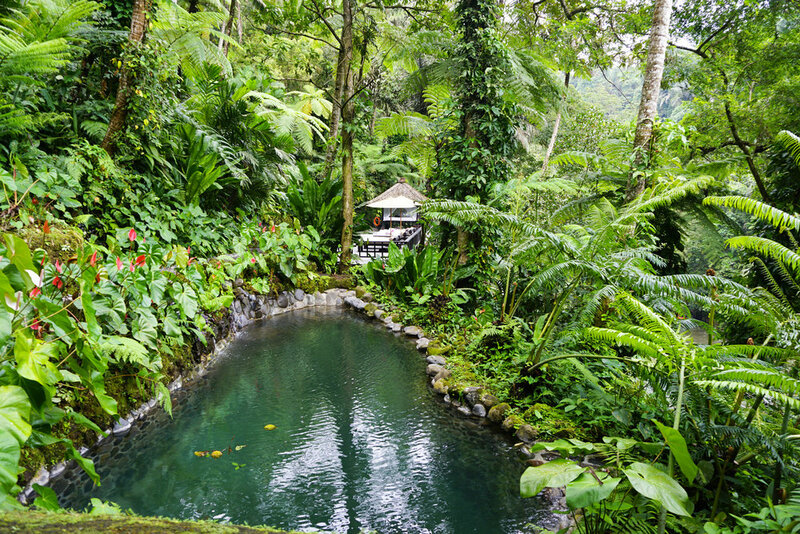 While it is easy to fall for villa pools in Bali, the magic of Shambhala is at the spring pools several hundred steps down into the jungle. The spring pools contain fresh water from a holy spring on property. We spent two afternoons by the spring pools. One day, it was raining, so it we sat under a netted day bed while we read and watched a family of monkeys play among the trees. The second day, the sun was shining so we swam and soaked up the sun in lounge chairs—monkey free. All in all, I do not have one negative thing to say about our stay at Shambhala. The level of service, the atmosphere, and the food were all top notch. Next time, we hope to return for a wellness retreat. In the meantime, we will be cooking out of our Shambhala cookbook trying to savor the memories of a wonderful stay.